Our Half Term Camps will return for the Half Term Holidays. The camps will run from Monday 12th – Friday 16th February. Dukes Meadows camps provide a safe and fun environment for children to learn the skills of their chosen sport. 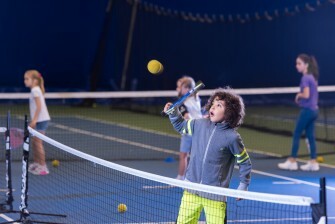 The all day Tennis and Golf camps run from 9am to 3pm. Half day options are also available, running from 9am to 12 noon. There is also the additional option of a half day of tennis or golf, with multisports in the afternoon. Both tennis and golf camps meet in the Function Room for sign-in at 9am with the camp coordinator. From here, the tennis coaches and golf pros collect the children and take them to their activities. Golf camps make the most of the facilities at Dukes Meadows. A typical day involves starting on the Driving Range for technique and club strategy teaching, moving on to the Academy Course for putting and short game development. In the afternoon, golfers get to put their skills into practice as the pros take them on to the 9 Hole Par 3 or our unique Academy Course. Those choosing to tag multi sports on to a half day of golf or tennis will spend their time playing board games and learning to ski on our fantastic Skieasy facility (whilst we will try to allow every child the opportunity to go on the skieasy it can’t always be guaranteed). Those spending all day at Dukes Meadows will have a lunch provided during the supervised lunch break 12-1pm. Please be sure to note any dietary requirements on the registration form before you place your booking. 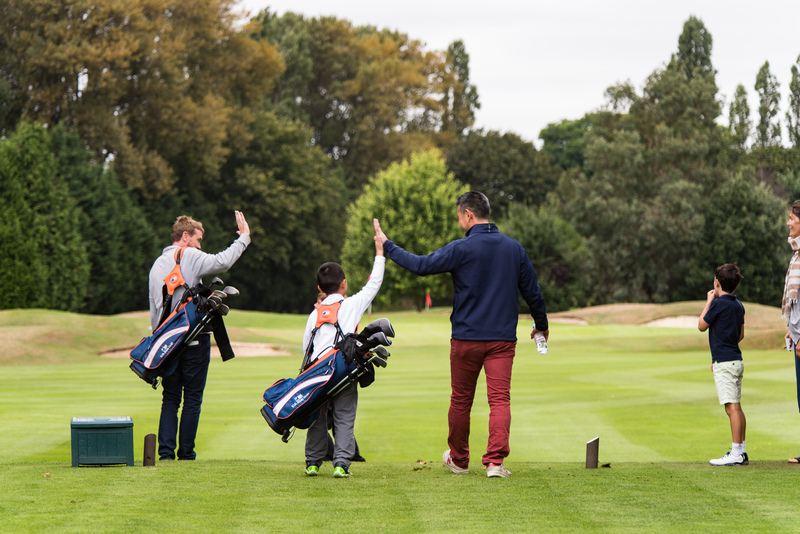 Children are very welcome to bring their own golf clubs or tennis rackets, otherwise equipment can be provided, or purchased from the Retail Shop at Dukes Meadows. Please speak to the golf pros or tennis coaches who will be happy to help if you require advice or assistance. Children should be attired properly in weather appropriate comfortable clothing with non-marking trainers for tennis and multisport. Hydration is important, so children should bring a drinks bottle with them. The café at Dukes Meadows is open for the duration of camp, so children may purchase additional food and drink if they wish.